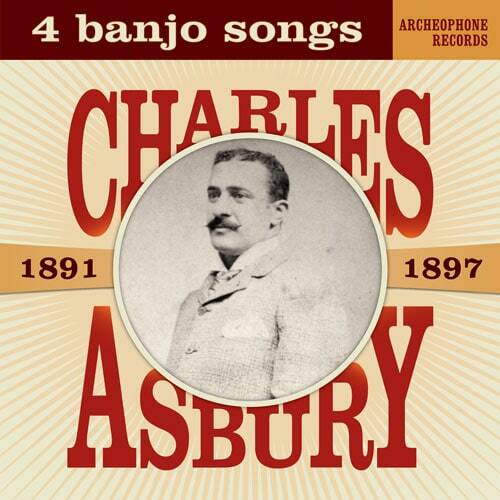 This May, you can hear what only a handful of people have ever heard: the oldest recordings of banjo songs in existence, played by an African American veteran of the minstrel stage, Charles A. Asbury. 4 Banjo Songs, 1891-1897 presents four of the rarest wax cylinders in a beautiful vinyl package. It is a seven-inch 45-rpm disc in a gatefold sleeve, with lyrics and a 16-page booklet of biographical and musical notes by Grammy-nominated authors Richard Martin and Ted Olson. 4 Banjo Songs will be released May 4th, and pre-ordering will begin in April.